A proliferation of regional trade agreements (RTAs) has been witnessed across the world but also in the Asia-Pacific region, which has contributed to its trade-driven growth. Indeed, over the last three decades, the Asia-Pacific region has experienced export-oriented development, with economic growth closely linked to a reduction in poverty levels. This has increasingly occurred through improved integration into regional and global value and supply chains, which has been central to Asian growth. Specifically, manufacturing outsourcing, mainly in the technology and labour-intensive manufacturing sectors, made the region a prime example of the potential positive force that trade can have on the economy and society. Nevertheless, trade-driven economic growth can also be unbalanced. 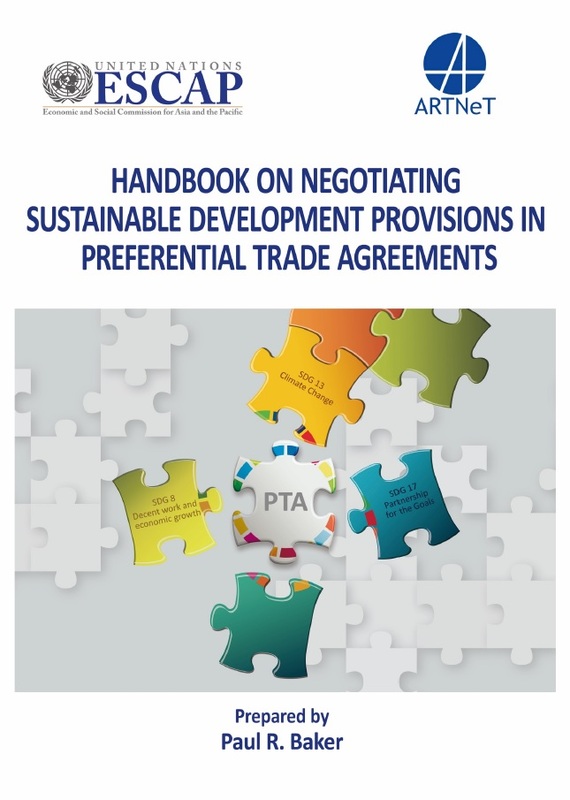 Trade liberalisation in particular can cause a rise of inequality within and between countries, such that adaptation and adjustment measures are required and must be accounted for to ensure that the parties to an RTA can take advantage of the potential that trade presents. Whilst the poverty headcount dropped across the region, in many countries in Asia and the Pacific, for example those in South-East Asia, inequality remains high, particularly between urban and rural populations, and issues persist in terms of access to healthcare, education, ICT, energy, transport, etc. Moreover, some countries continue to struggle to enter global value chains (GVCs), due to high trade barriers and/or high costs to trade, or an over-reliance on exports concentrated in commodities and natural resources. Trade can also have a negative impact on the environment. A significant portion of the academic literature seems to indicate that increases in trade liberalisation might lead to higher levels of CO2 emissions. The ability of international trade to provide greater societal and environmental benefits for sustainable development very much depends on the quality of the RTAs, and the public and private sector policies enacted to support it in this direction. Example of such policies include taxes on greenhouse gas emissions, rejecting the use plastic bags, amongst many others, or the establishment of a Labour Cooperation Mechanism between countries to improve labour standards, such as the provided created between the Chile and the Unites States through the Chile-US FTA in 2004.